A man, believed to be Syrian, has been pronounced dead after being found unconscious on a beach in Rhodes by a coastguard unit. He was among a group of eight others – seven men and one woman – who were left at some point to swim ashore by a trafficker who had ferried them to the Aegean island from the nearby Turkish coast on an inflatable speedboat. According to a coastguard statement, the survivors, who have all been arrested for not having travel documents, said they were “made fall into the water” by the trafficker. When they informed police that one man was missing, a search was launched. The coastguard statement said the missing man was found unconscious on Anthony Quinn beach, just south of Faliraki, on the northeastern coast of the island. He was pronounced dead on arrival at a nearby hospital. The beach was given the name of the Holywood actor after the filming of The Guns of Navarone. 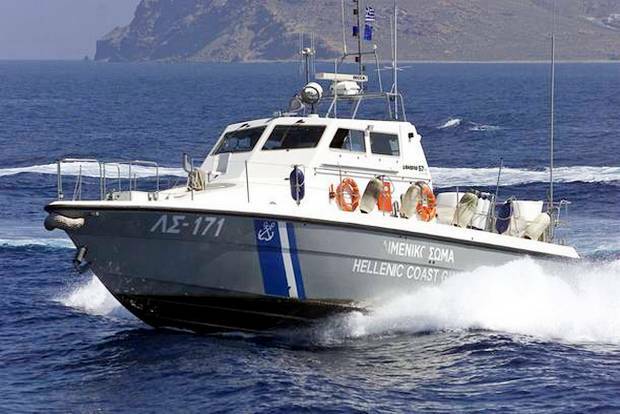 The man’s death comes two weeks to the day after a dozen people, including three women and nine children, drowned when their vessel capsized while being towed in a controversial coastguard operation near the island of Farmakonisi, also in the eastern Aegean. Tags: Coast Guard, Farmakonisi, Greece, immigrants, migrants, Rhodes. Bookmark the permalink.